Postpartum depression is often associated with new mothers, but research shows men are affected, as well. An expert shares tips on what to look for and how to lower one's risk for paternal postpartum depression. WASHINGTON — Postpartum depression is most often associated with a mother’s state of well-being after a new baby arrives, but experts say dads can experience it too. A study published in the Journal of the American Medical Association reviewed 43 cases on depression in new fathers and found that about 10 percent of men experienced prenatal and postpartum depression. Another study found that postpartum depression impacted up to 25 percent of men during the first year of a baby’s life — that number nearly doubled for men whose partners also suffered from postpartum depression. 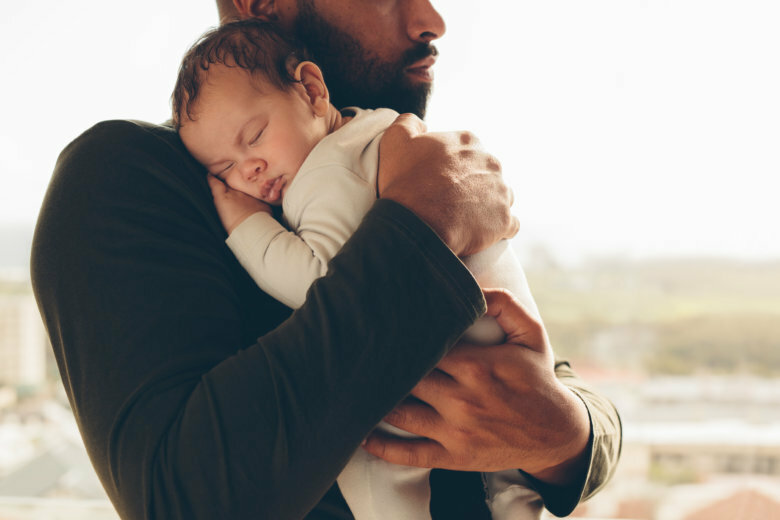 Elizabeth Rochin, vice president of nursing at the Association of Women’s Health, Obstetric, and Neonatal Nurses, said one of the biggest risks for developing paternal postpartum depression is delayed bonding. “Motherhood typically takes on that bonding when a new mom first finds out she is pregnant. However, dads typically don’t bond with their newborns until the birth of the baby, and sometimes not even weeks, sometimes months, later,” Rochin said. It’s not uncommon for men to take a back seat when it comes to infant care. Breast-feeding babies, especially, demand mom’s attention over dad’s, and a lack of paid parental leave in the U.S. often sends men back to work sooner than women after childbirth. But research shows immediate father-baby bonding offers several benefits, including reduced cognitive delay in infants and a lower risk for postpartum depression in men. “One of the first things we talk about is for dads to just jump right in. In other words, don’t be afraid to begin immediately caring for and loving that baby,” Rochin said. She recommends new fathers form daily rituals with the baby, such as bath and story times. Once breast-feeding is established, Rochin suggests dads pick up a night feeding. This not only gives mom some extra rest, but it offers the partner the chance to partake in the intimate experience of feeding a newborn. “It’s so important to afford a new dad the opportunity to do the same [bonding as mom],” Rochin said. Because paternal postpartum depression is not as widely discussed or screened for as maternal postpartum depression — which affects about 15 percent of women, according to the National Institute of Mental Health — identifying its early symptoms can be difficult. Rochin said common indicators are aloofness, lack of interest in the baby and sleeplessness. “And of course, you’re already having sleepless nights as a new mom or a new dad, but certainly the inability to sleep or having even more acute symptoms of sleeplessness is one of the symptoms that’s been described,” Rochin said. Anxiety, fear and aggressive thoughts, words and actions are other symptoms men describe feeling. Partners and close family members are often considered the first line of defense when it comes to recognizing postpartum depression in new mothers, and Rochin said the same should hold true for new fathers, as well. “In many cases, dads, in particular, they’re so worried about mom, they’re so worried about ensuring her well-being after the birth of a baby, and we need to make sure that we are offering those same supports to new dads,” Rochin said. Worried you or a loved one is battling postpartum depression? Postpartum Men and Postpartum Support International offer more information, as well as resources for new parents.